Studio 101 is 38' x 24' with 10' ceilings and raised black marley floor. 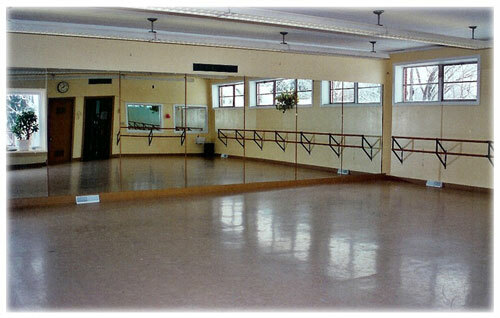 There are wall mounted double barres on two walls. Studio 102 is 38' x 24' with 10' ceilings and raised black/tan marley floor. This room features a TV - VCR - DVD as well as large marker boards ideal for classroom instruction. 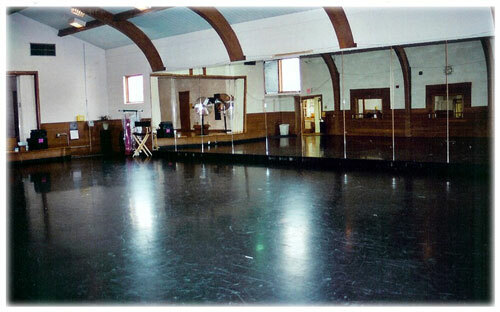 Studio 103 is 32' x 30' with 10' ceilings and a raised tan marley floor. There are wall mounted double barres on two walls. 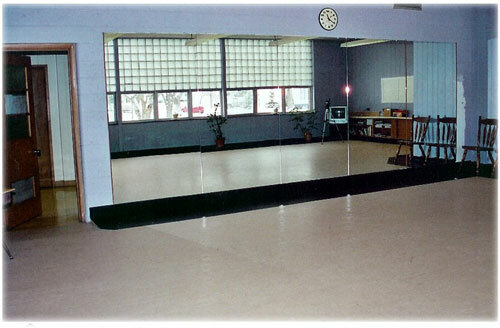 Studio 104 is 54' x 36' with 18' ceilings and a black sprung marley floor. 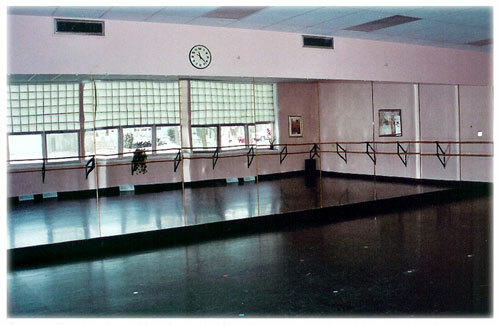 There are wall mounted double barres on one wall. There is a small stage on the south end of the room.